On Tuesday, Olympus announced that it will bring its Air 01 Micro Four Thirds (MFT) interchangeable lens camera (ILC) to the U.S. and Canada in July. 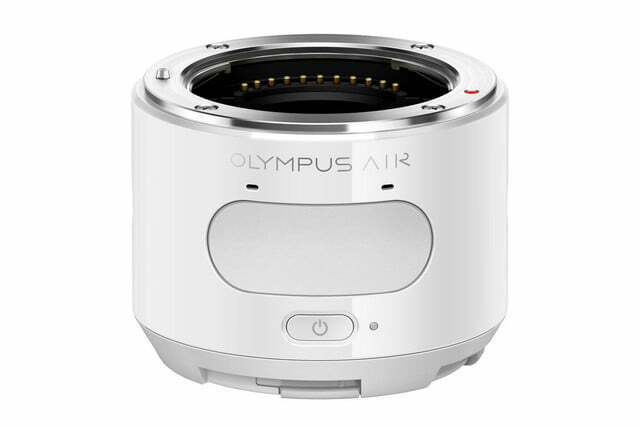 Similar in concept to Sony’s QX1, the Air is a lens adapter designed to work with iOS (7.0 or higher) and Android (4.0 or higher, as well as Amazon Kindle Fire) devices, with all the camera guts inside a compact cylinder, minus a display and traditional camera controls. 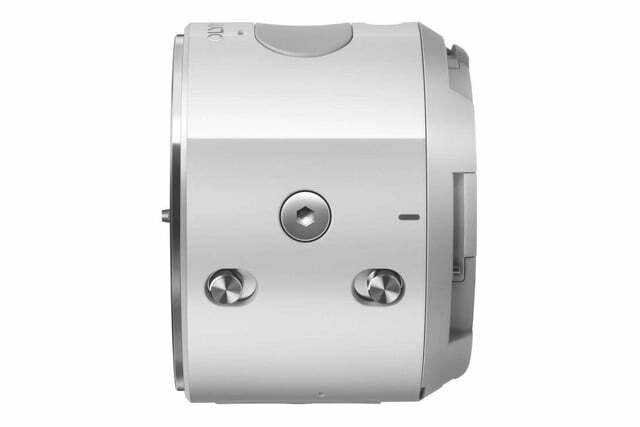 The lens mount is compatible with MFT lenses from Olympus, Panasonic, and other manufacturers. The Air was announced in February for the Japanese market, where it’s currently on sale. The North American version is the same, but will have its own app and support for Amazon Cloud Drive. The Air will sell in the U.S. for $300 (body only; less expensive than a full MFT camera), or $500 with a 14-42mm lens. 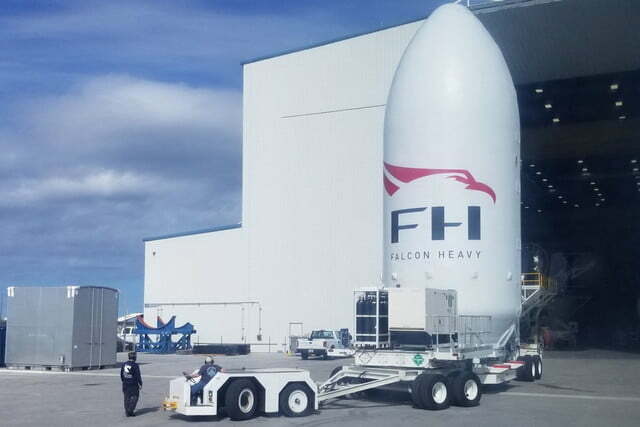 It ships in July. 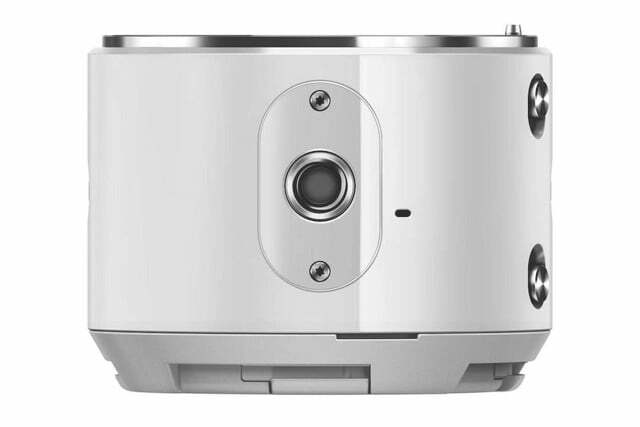 Like the QX1, the Air uses a smartphone or tablet to control the camera, as well as a live view display. 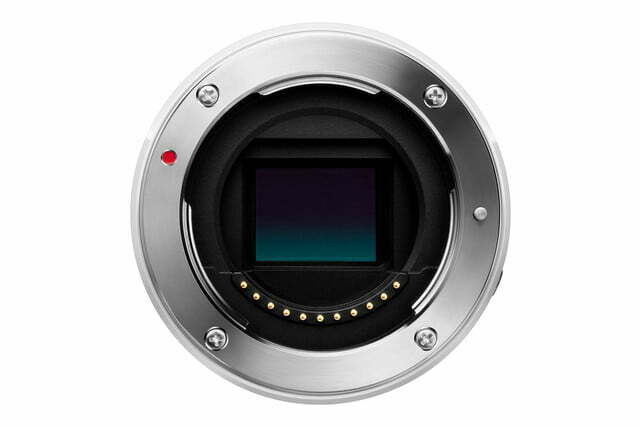 While the QX1 uses an APS-C sensor, the Air has a 16-megapixel Live MOS MFT sensor (also used in the OM-D E-M10), which is smaller in size than APS-C. 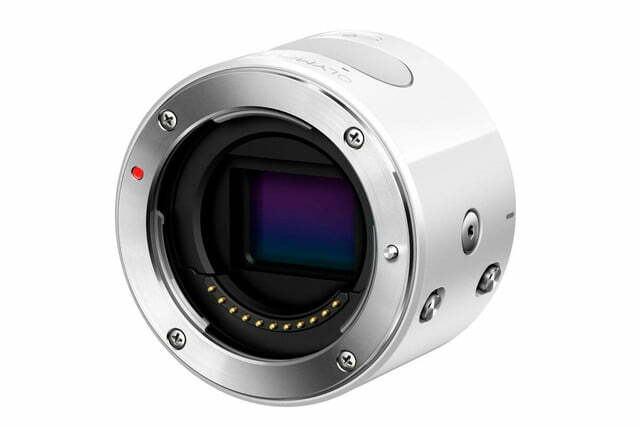 However, from our experience with both Olympus and Panasonic cameras, the MFT sensor is capable of delivering great image quality. 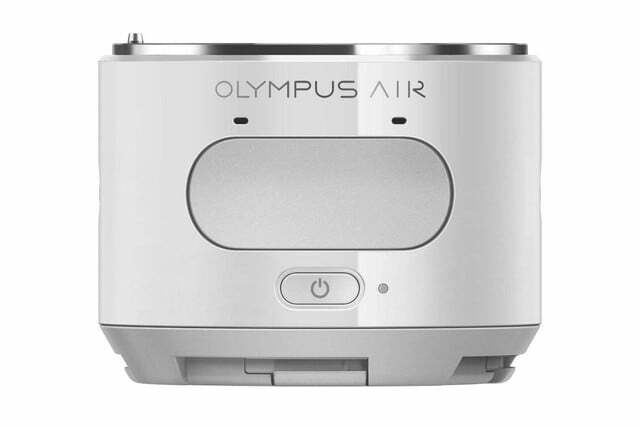 The Air also uses the latest Olympus image processor, the TruePic VII, which is in the new OM-D E-M5 Mark II (a DT Editor’s Choice camera). With the Fast AF 81-point autofocus system, 1/16,000 high-speed electronic shutter, ISO of 100-16,000, and 10 frames-per-second continuous shooting, Olympus says the camera delivers DSLR-like performance, even in low-light situations. The Air saves images and videos onto MicroSD cards, and charges via Micro USB; the battery is rated for 320 shots. 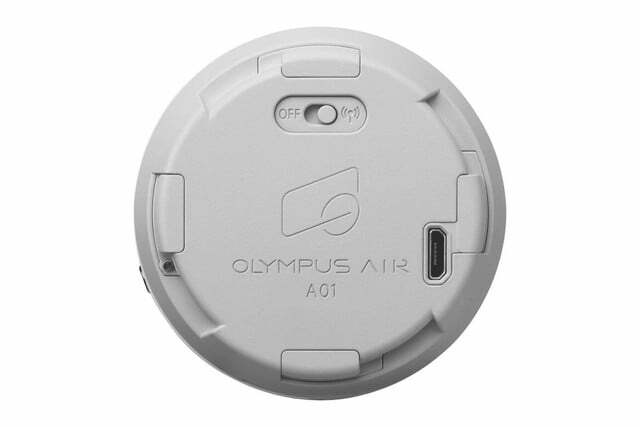 The Air has a rear cradle design that fits various-sized smartphones and tablets. Unlike Sony’s clamp design, which doesn’t fit all devices, the Air tilts a device at an angle, which makes it slightly easier to use the camera while framing a live view image on a phone or tablet. 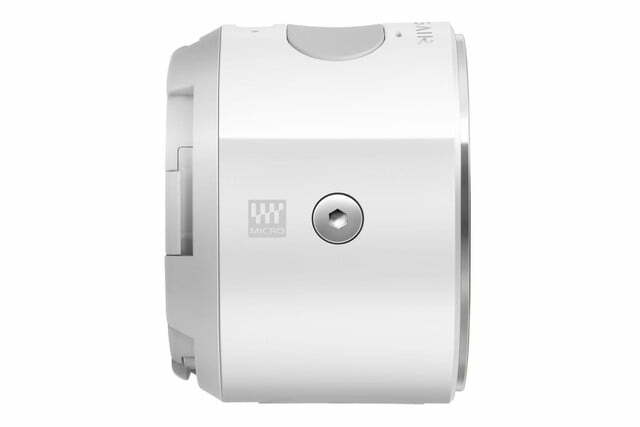 The Air uses Wi-Fi and Bluetooth to connect to your phone, with the same quick Wi-Fi setup as other Olympus cameras, which display a QR code you simply scan with the camera. The connection seemed fast, strong, and stable during a demonstration Olympus gave us. While the Air can be used independently (like an action cam), it’s meant to be used with a smartphone or tablet, so a good, reliable connection is crucial. 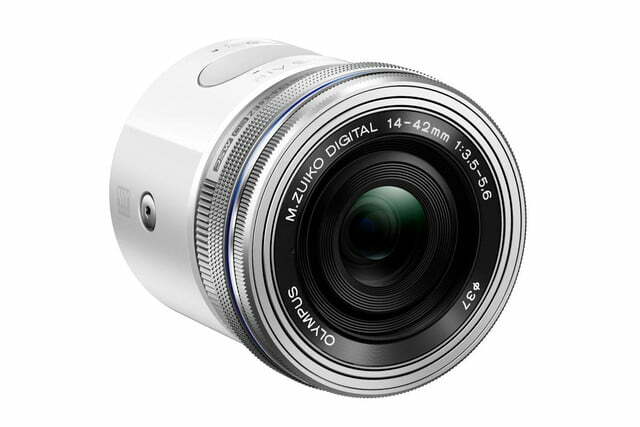 With an M.Zuiko Digital ED 14-42mm F3.5-5.6 EZ pancake zoom lens , the Air is a lightweight and compact camera you can throw in a bag (on its own, the Air weighs 5 ounces). 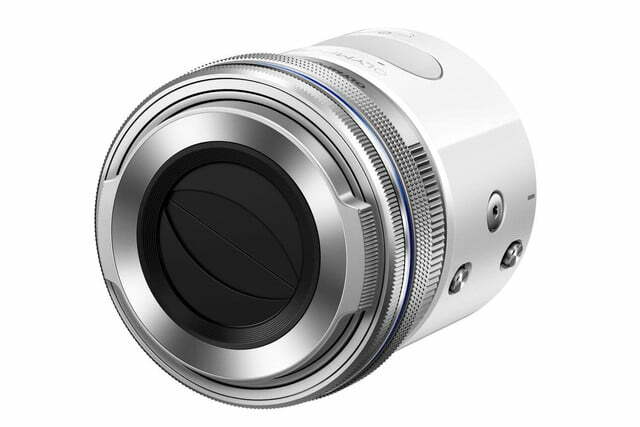 When your smartphone photography requires a bit of a help in the zoom and image quality departments, simply attach the Air. But the camera is more than just a smartphone accessory: Mount an M.Zuiko ED 40-150mm f/2.8 PRO telephoto lens and the Air transforms into a serious camera, although you may need a tripod or custom rig, which Olympus used in a demo setup. The Air has a companion app, OA.Central, that’s actually eight apps in one (you will, however, need to download each app individually). Besides a shooting mode that gives you all the main controls you’d find in an ILC (ModeDial), there’s an app called Genius that “applies the optimal framing, color, brightness, effect, and combination for a subject automatically, and generates 6 patterns of photos with a single shot,” which can be saved as a favorite. There’s Art Filter that offers 14 Art Filter and nine Art Effects for creative shots (it’s a mode you’ll find in many Olympus cameras); Color Creator that gives you “fine-tuned control over color, saturation, and brightness”; Photo Story for creating collages; Clips for shooting and editing movies (the Air can shoot Full HD 1080 at 30p); and Viewer, which lets you view and edit the images. The beauty of having a connected smartphone or tablet is that you can share images instantly, but Viewer helps you prep them so they’re fit for uploads; after all, the images will be much larger than those shot with a smartphone, especially if you shoot uncompressed RAW. While OA.Central is where you adjust connection settings and access the apps, it also serves as the entry point to third-party apps developed with the OPC Hack & Make Project. This software development kit and 3D data are part of an open platform available to developers and creators, which allows them to add support for the Air in new or existing apps. Once these are available, OA.Central is where you’ll find them. So, why buy a “real” camera when you can just use an Air? Well, you’ll still get stronger performance from a traditional camera, and there are features, like 5-axis image stabilization (the Air doesn’t have hardware stabilization, but you could utilize a stabilized lens like those from Panasonic), mechanical shutter, viewfinder, and weather sealing, that you won’t get in the Air. During the demonstration, we were impressed with the fast autofocus and overall effectiveness, but we weren’t able to view image quality, and we noticed the live view image on an iPad was grainier than we would have liked. We don’t think the Air will be as strong as some of the latest Olympus cameras we’ve used, but we don’t think it’s a clunker, either. The Air is a nice gadget for those who already own Micro Four Thirds lenses or those interested in street photography, but it’s really designed for smartphone users who are interested in photography, giving them enhanced image quality and DSLR-like shooting without buying a full camera. 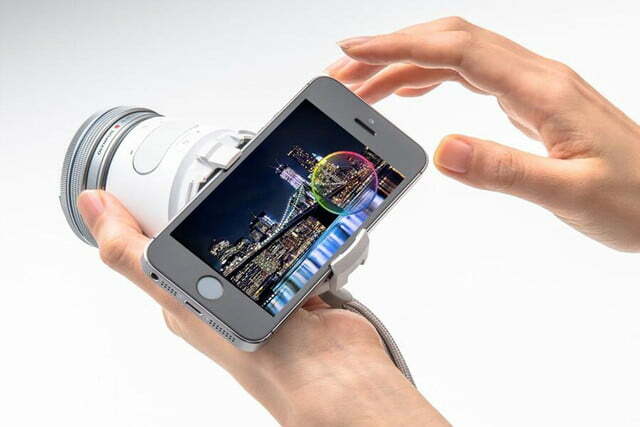 Both the camera and apps are designed to be simplistic in form, Olympus says, and intuitive for the smartphone user. But it’s all about the apps, the company adds, and those are what will make the Air experience different from other cameras.